We cover all aspects wall and ceiling skimming to a smooth polished finish, which prepares the surface for a clean cover with paint or wallpaper. We are a Local, Friendly, Family run business with a vast amount of experience and knowledge in the plastering and Damp Proofing industry. Preventing the intrusion of water under pressure can help secure the foundation and integrity of a building for longer, and preserve both security and value. Wall and ceiling skimming to a smooth polished finish, which prepares the surface for a clean cover with paint or wallpaper. To prevent any problems with condensation, a room will need to be properly ventilated, the first step of Damp proofing. 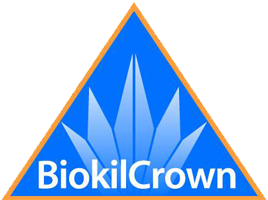 who is also a Biokil Crown Approved Contractor. Atkins Wallcare was founded in 2007 by Garry Atkin, a plasterer with over 25 years experience in the trade, who is also a Biokil Crown Approved Contractor. Affiliated and registered with mybuild.com, we shall provide a thorough and quality service for each and every job we take on, big or small, we see it through to the end, and ensure that you are 100% satisfied with the quality and finish of the job we have done for you. we strongly believe these words should be followed with heart at Atkins Wallcare, this shows once our contracted job has been completed, with every service we start, we will finish, and to a high standard that is compliant with the industry. No skipping corners and certainly no cutting any part of the job out, we have always been a business that prides itself on being thorough to ensure complete customer satisfaction and you can rely on us to provide a service that you will be pleased to look at once completed. Atkins Wallcare operates around Derby and the surrounding East Midlands area, providing plastering and wall care services at an affordable yet still high quality standard. You can trust the expertise of the Atkin family to help realise your vision and complete the job quickly and professionally, and with prices that are competitively low, you can stay assured that you won't be too far out of pocket when requesting our services. To request a callback, please complete the small form below and we will call you back shortly.